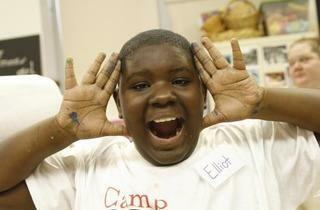 Special needs kids learn a new skills while making friends and having a blast. Kids enjoy active play at Red Kite theater camp. Every kid deserves a fun, unique camp experience. 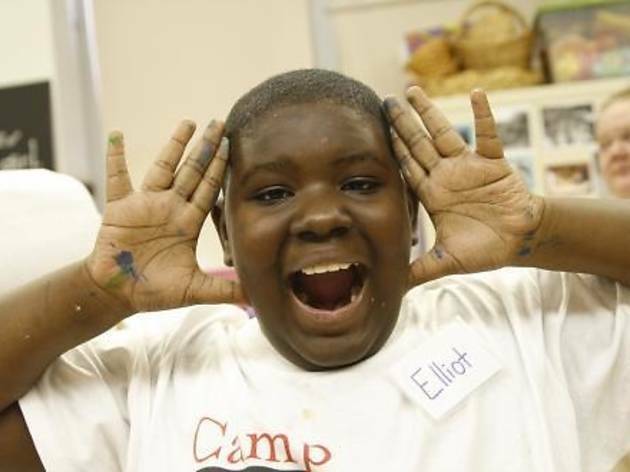 Whether your child is a dirt devil or an aspiring Andy Warhol, these special-needs camps offer tons of individual attention and structured, yet flexible, activities to suit campers’ unique needs. The focus is strengthening social skills through play-based activities, such as obstacle courses, park visits, science and art. Sessions are capped at 10 kids who work on improving conversational and interaction abilities. Dramatic play and visuals are a large component of camp learning. Field trips may include visits to the Adler Planetarium or the beach. 2032 W Grand Ave (312-388-8883, julieherr.com). Jun 18–Aug 9. Prices TBD. Ages 4–9. Here, improving social and communication skills is combined with camp activities to strengthen confidence and cooperation: Kids do arts and crafts, play team-building games and burn off energy in sports such as soccer, volleyball, softball and swimming. They also have the option of doing yoga or tae kwon do once a week. Every group of campers works with a drama counselor to produce a theatrical video to take home at the end of camp. B’nai Torah, 2789 Oak St, Highland Park (847-461-9230, oneinahunredprogram.com). Jun 25–Jul 27. $3,000 for five weeks. Grades 1 to 8. In this arts-focused program geared towards kids on the autism spectrum, campers rotate through structured and consistent drama, arts, music and movement activities for three weeks. Kids play theater games focused on expressing emotion and dabble with different instruments to boost creativity. Parents are invited to attend camp on the last day for an original performance from the campers. Agassiz Elementary School, 2851 N Seminary Ave (773-227-0180, theredkiteproject.org). Dates and prices TBD. Ages 8–14. The Fun Regulation Interaction Engagement Nonverbal Developmental Social skills (FRIENDS) group provides kids with a social and playful environment for two hours each week. Therapists focus on improving sensory processing, verbal and non-verbal communication skills and social and emotional development. Campers may take a trip to the park, an ice cream parlor or a local bakery. 2151 W Roscoe St, 1W (773-935-7355). Jun 11–Aug 3. $1,000–$1,400. Preschool–middle school.